Dating back to 1981, Delaware’s tree population has been among the best in the entire state. Today, it continues to flourish and receive national attention. For the 37th consecutive year, the city of Delaware has been named a “Tree City USA” community by the National Arbor Day Foundation. Delaware is one of only approximately 3,400 cities in the entire country to be named such a community, 243 of which are in the state of Ohio. The city’s tree numbers total more than 17,000 and is valued at more than $17 million. The National Arbor Day Foundation is a nonprofit membership organization that was founded in 1972 on the 100th anniversary of the first Arbor Day. According to their website, they have been responsible for the planting of over 250 million trees, both directly and in distributing, in their 46-year existence. The Tree City USA program began recognizing cities in 1976. “Residents of Delaware should be proud to live in a community that makes the planting and care of trees a priority,” the foundation said in a release. In order to achieve “Tree City USA” status, the National Arbor Day Foundation takes four standards into consideration. The first requires an official board or department to be legally responsible for the care of all trees on city property. In Delaware, that onus falls on the Shade Tree Commission, who “makes recommendations to the city government regarding the protection, selection, planting, and maintenance of trees within our city limits,” according to the city’s website. 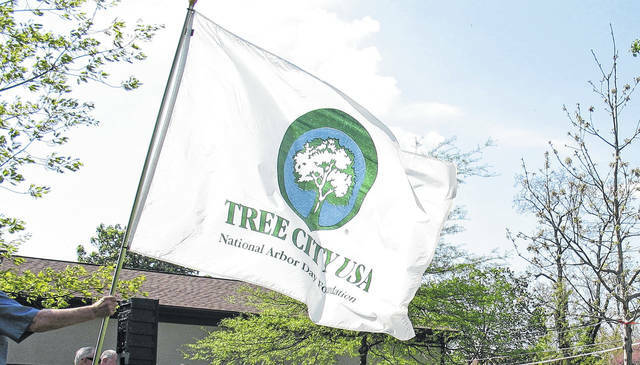 The other three standards include having a tree care ordinance in place, a program that includes a budget of at least $2 per capita, and an official Arbor Day observance and proclamation. “A lot of the credit should go to City Parks and Natural Resources staff and the work of our Shade Tree Commission, which promotes the benefits of healthy city trees and vegetation,” said Public Affairs Coordinator Lee Yoakum. Beyond just a title, being recognized as a “Tree City” means many benefits for all Delaware residents. National Arbor Day is on Friday, April 27. The Shade Tree Commission will mark the occasion the following day, April 28, with a tree planting ceremony at the Delaware Community Center YMCA on S. Houk Rd. Residents can get involved by attending the Shade Tree Commission meetings, typically the fourth Tuesday of each month, at City Hall. Meetings normally begin at 7 p.m.